SOLD. 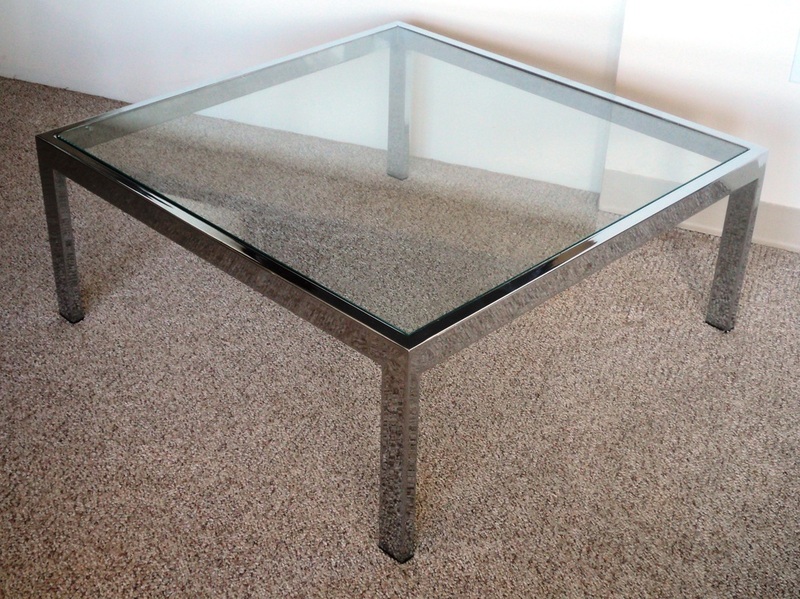 Sleek Square Chrome & Glass Coffee Table. 1" Chromed Steel Structure. Inset Glass Pane Table Top (not original). All Black Rubber Table Leg Caps/Floor Protectors Present. Very Good Vintage Condition. 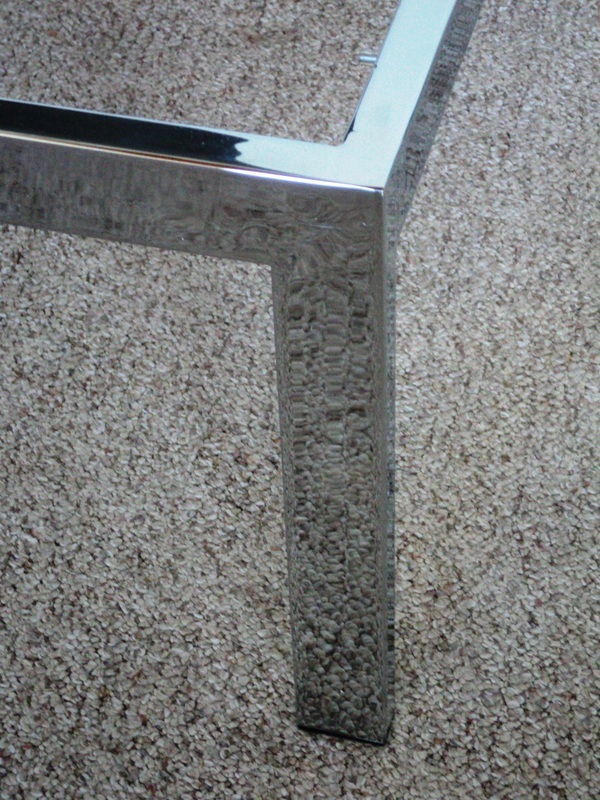 Surface Wear Consistent with Age, Material & Use. Small Chip to Under Corner of Glass. One Holder for Table Top Insert Missing. 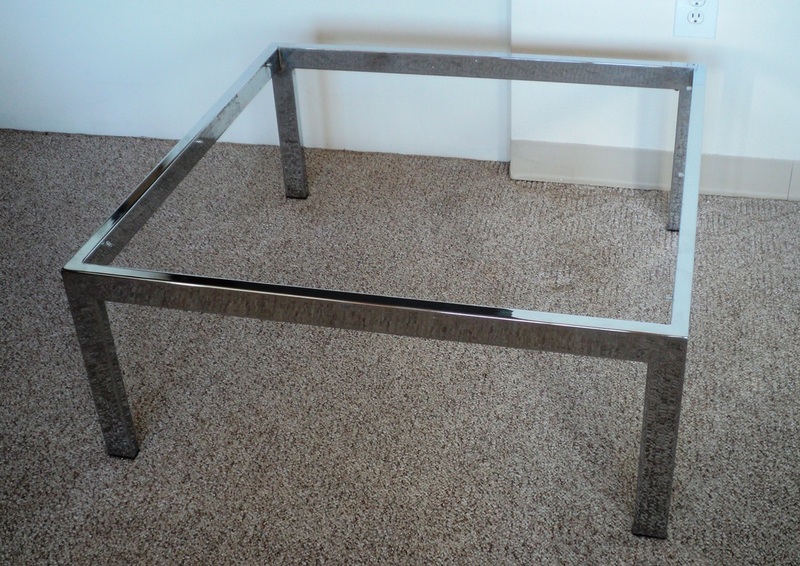 Table may be Purchased with or without Glass-may choose to source glass locally (less shipping cost). Overall Table Dimensions: 36.75w x 36.75d x 15.25h. Approx. Glass Dimensions: 34.5 x 34.5 x .25. SOLD.